Danny Meyer once said that “A great restaurant doesn’t distinguish itself by how few mistakes it makes, but by how well they handle those mistakes.” Five-star restaurants have earned their standing not only because of hard work and determination, but also through how they serve their customers on a day-to-day basis especially when problems arise. Restaurants with good customer service and great food are likely to keep their status in the market and stay popular. But achieving that kind of feat is no easy task. Anything that is successful is definitely not easy especially in the first stages of developing one’s very own restaurant. If you are into cooking, whether you are already a master or are still just learning the basics, the thought of having a restaurant as a form of livelihood and work can come across multiple times. Building a restaurant business is definitely not an easy task, but for some people, it is a dream worth working on to make it a reality. Believing that your method of cooking certain dishes that can truly satisfy the stomach of a person can propel an aspiring chef to have his own business in a restaurant. Food has been the source of health and often comfort for people whenever they had a bad day and at times, can fix an argument between couples. Food definitely works in mysterious ways. In this article, we will be discussing to you they ways for one to fulfill his dreams by having established a simple restaurant. 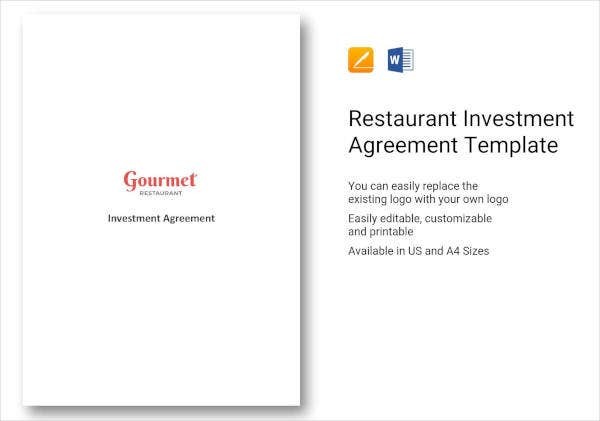 Next, we will be discussing what an investment agreement is and how it is important to a restaurant’s stability in the market or for any kind of business for that manner. Lastly, we will be discussing the most important traits that a restaurant manager should possess in order to get and keep the best people at work and how that can transcend into not only giving delicious food but also giving the best customer service a restaurant can. There will also be some templates being displayed here. 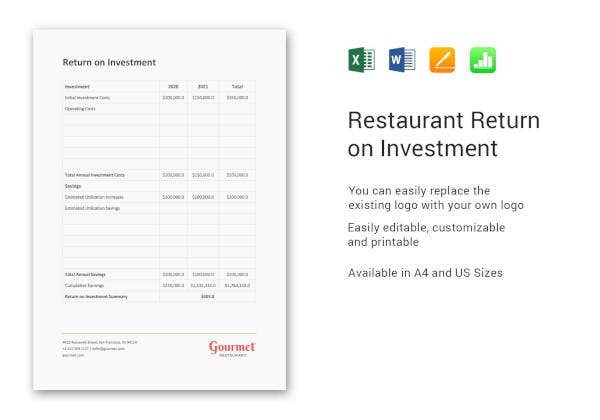 The purpose of the templates is for you to get more information about restaurants and investments at the same time. Just like any successful business, it always has its roots may it be coming from one person developing the idea or that same idea coming out from a group of friends who just wanted to work and live their dreams together over a bottle of beer and barbeque. It takes more than just establishing a vision and mission to get one thinking of ways on how to actually start developing a good restaurant. In this part of the article, we will be enumerating to you how one can establish a restaurant and explain why experience, cognitive thinking, creativity, and funding play a part in not only establishing a restaurant but also making it last for the long run. We highly encourage you to take note of the following ways as you might understand each of its relevance and importance in the existence of the restaurant itself. 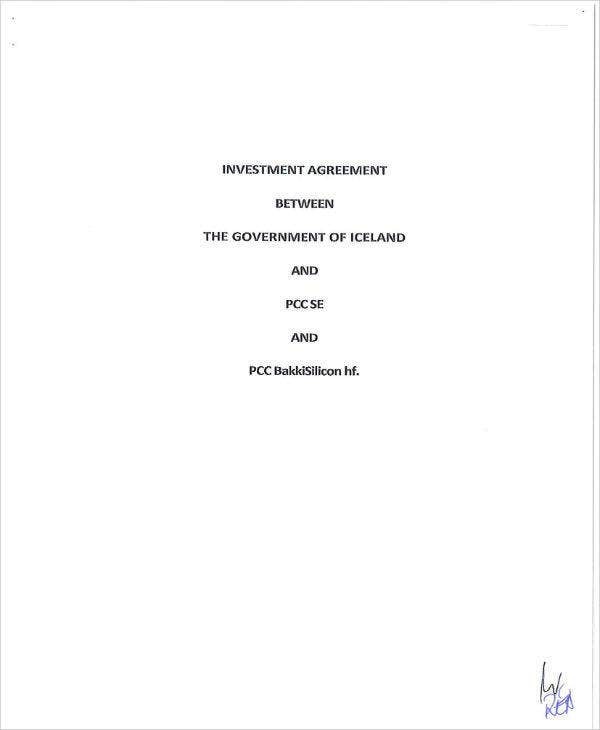 You may also see investment agreement templates. Experience comes to play as it is always advisable for one to first work in a restaurant. It is one of the best ways for preparing to have one’s own restaurant in the future. Having experience would give you a broader insight of what are the things that should be done through learning customer service, how to market the restaurant, the payrolls and menu development and other things that make up the whole restaurant itself. Using those learnings can make you think of better ways of improving them in your own restaurant in the future. Think of your dish and the price you are willing to give it. After that, think of who are the people you want to visit and eat at your restaurant. Are they the low class, middle class, high class or all of them? Are you targeting the family or for teenagers. When you get to have a grip on your decision for your target market, it would help you in establishing the dishes you would serve and start marking up the right price and not going way over it. A restaurant whose target market is teenagers might not appeal to families. If ever you are wondering if these two markets can still eat your restaurants, they can. You just have to make sure that your brand caters to the both of them. 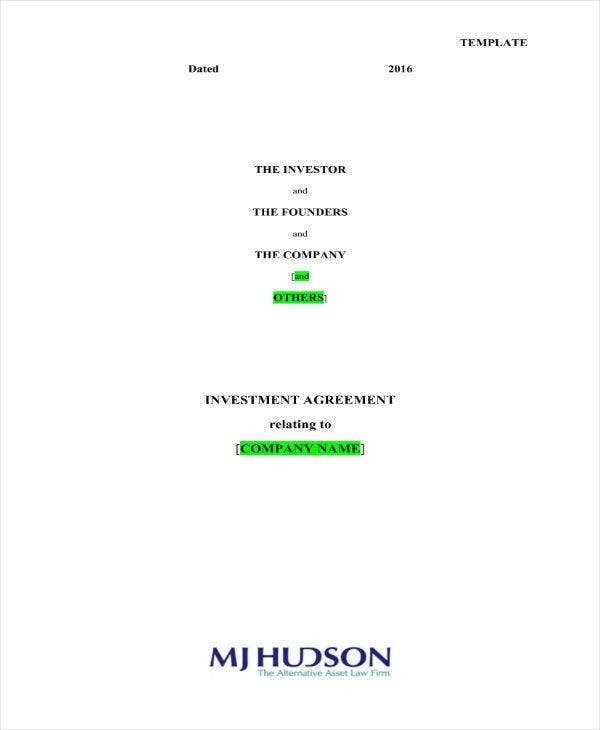 You may also see sample investment agreements. 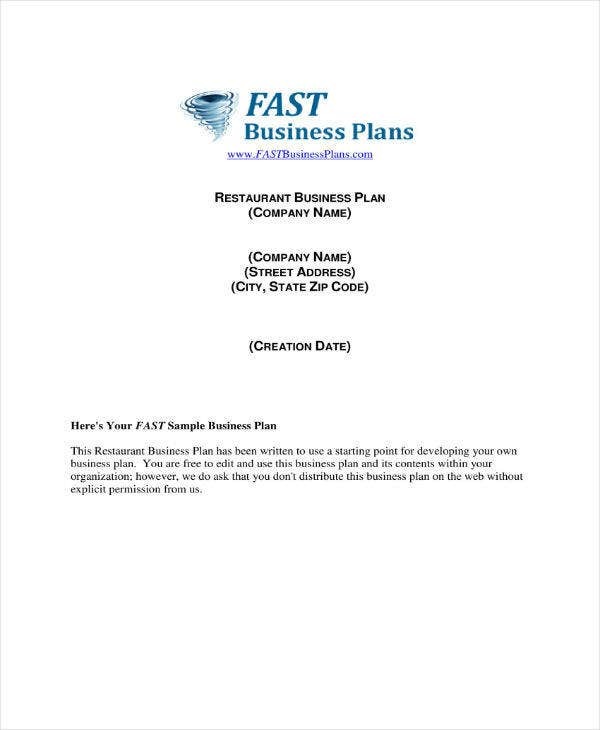 Just like any other business, a restaurant has to have its own business plan. It has to set clear of its goals and what period those goals have to be achieved within a given time in the year. This is extremely important especially in the first stages of development for the restaurant. Customer service is important and that is a known fact but we can always deliver that in other service styles. Picking out that right kind of service style for your restaurant would be easy if you would relate it to the mission and vision of your restaurant and it can also come from the dishes you cook and serve. You may also see simple investment agreements. Know what you are going to serve and specify if there are any special dishes that are only available at a certain time. Think of having a kids menu if your restaurant also caters to families. Go back to your business plan to know if your menu can attract the target market. One might choose to have his restaurant near a university for his branding caters to teenagers and one might have it in the city to cater to more families may it be in the low, middle or high-class. Find a location that is also accessible plus safe. No one would want to be in your restaurant if it is near a place where the crime rate is high. 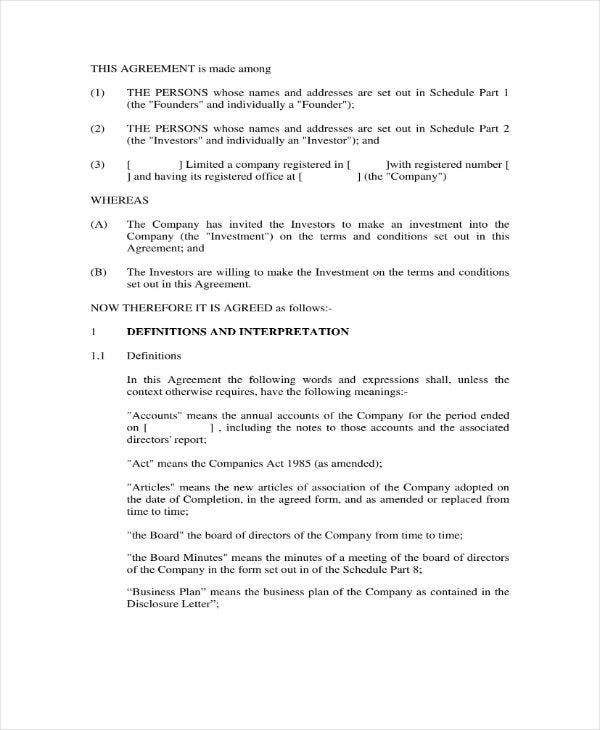 You may also see management agreement templates. This will help you in planning actions that would get your business in the social media screens of your curstomers and not to mention how your restaurant might end up in billboards and advertisements. Specify in your job ad the qualities of the kind of person you are looking for in the job title. Choose employees who are great or have the potential to be great. You may also see business partnership agreements. A restaurant would never be developed without money being involved. Estimate how much you is the total overall cost for the building of the restaurant with its materials present including the food and beverage products. This is where investment comes to play, but we will get to that later. When we hear the word investment, we either associate it with money or committing to a risk. Actually, it associates with both. Every business has to be invested so that it will sustain itself. An investment is never an investment if it does not have returns that would benefit the investor in the future. As an owner, you have to find a business partner that is willing to commit to the success of your restaurant and must, therefore, agree to a restaurant investment agreement so that he can now legally invest. Make sure he will get a significant amount of returns throughout the whole journey of your life as a restaurant manager or CEO. Always value the contribution of the people who helped you build your dream through their monetary investment. May it be a friend, a family member or some already known investor who took interest and believes in the uniqueness of your restaurant and dishes. You may also see funding agreements. The pressure for giving back to the investors is scary, especially if you are unsure of the first few weeks once you start the opening of your restaurant. Remember that you have a lot of competition, just make sure you have planned very carefully everything and you would do just fine. Read more about investments and how to be a smart investor to guide you. You may also see deposit agreement templates. To end this article on a good note, we will be enumerating to you the traits that a successful restaurant manager or owner has to have in order for the restaurant to keep on running while keeping and getting the best employees and helping them have the drive to better at their respective job title or position. You can also like partnership investment agreements. 1. Positive attitude – Employee would approach you more if you are someone approachable. Wear a smile always and treat problems like any other problem and do not give up on it. See the light behind that problem. 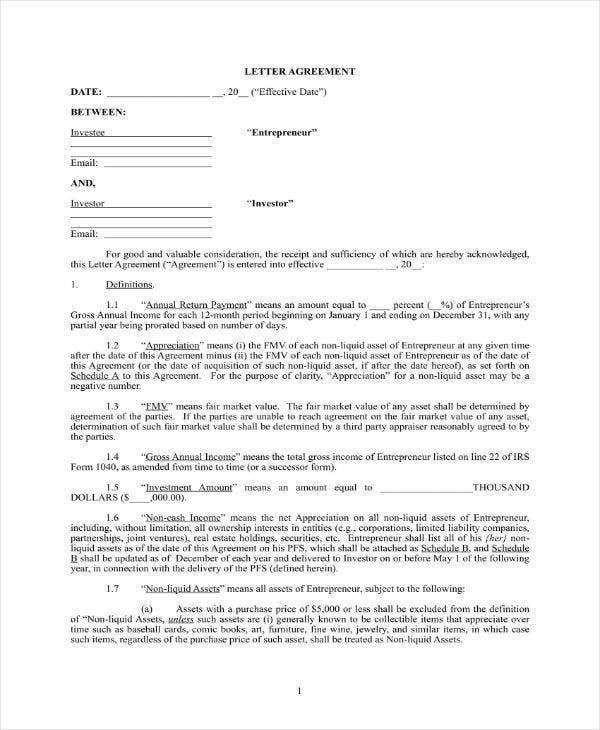 You can also read sample money agreement template. 2. Role model – Employees would display the kind of customer service you want to be served if you also show them how it is done and actually train them with your knowledge and skills. 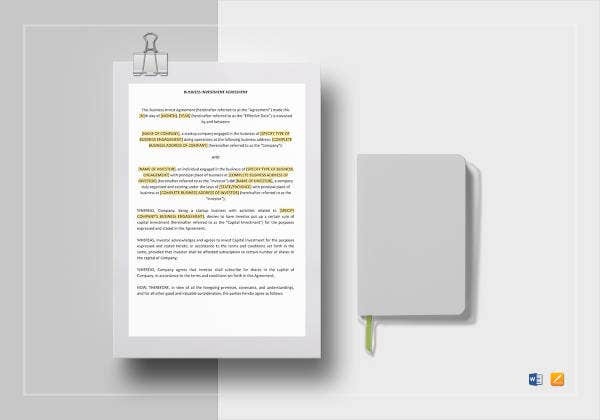 You may also like sample commission agreements. 3. A good planner – A restaurant manager should always think ahead by also being aware of the present status his or her restaurant is at. You can also see development agreement templates. 5. Gives importance to work-life balance with his employees.